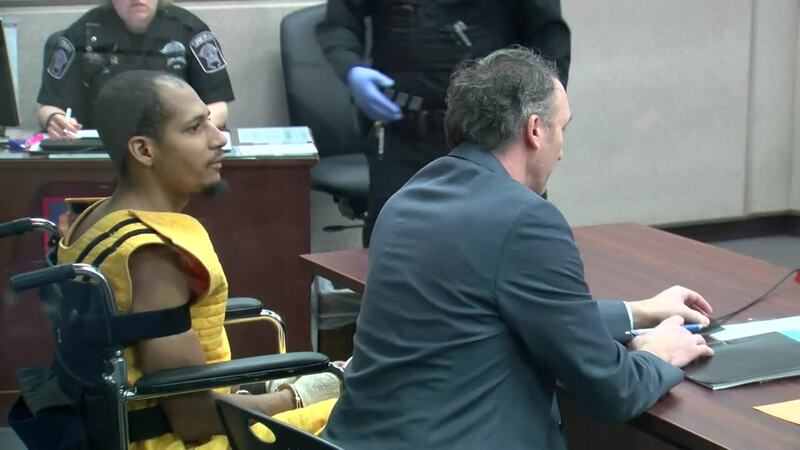 Kenneth Freeman, the man accused of killing Froedtert nurse practitioner Carlie Beaudin in a parking garage, was stunned by officers in court today after a profanity-laced outburst. The man accused of killing a Froedtert nurse practitioner in January was allegedly stunned in court after an outburst Friday morning. Kenneth Freeman, 27, is charge with the murder of 33-year-old Carlie Beaudin back in January. Freeman made his initial court appearance Friday morning. Freeman's attorney claims that Freeman is not competent to stand trial. It was then Freeman began yelling profanities in court before being stunned. Freeman was then escorted out of the court. Freeman will now remain in the custody of the Milwaukee County Sheriff's Department until his next court appearance. According to the criminal complaint, Freeman was identified on surveillance footage, reportedly attacking the woman and brutally beating her. When interrogated, Freeman told detectives he “deliberately and purely murdered Ms. Willa” and when asked to provide additional details replied, “there isn’t anything I want to talk about." He faces life in prison if convicted. He's being held on $500,000 bail.